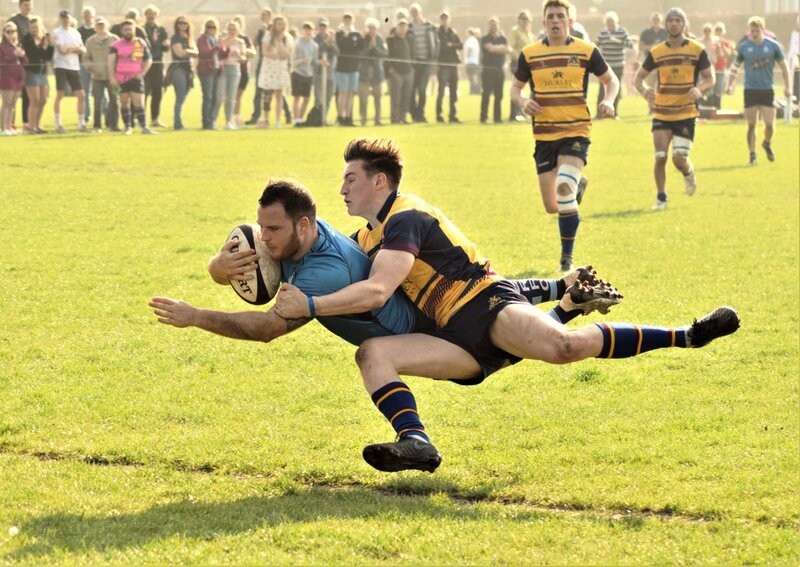 One point was all they needed, five points were in their grasp, but in the end Chichester RFC had to settle for just the two as they came out on the wrong side of a 34-35 thriller. Blues flew out to a 31-13 lead over Cobham at Oaklands Park as their dominance in the pack saw them cross for a series of well-worked tries. But, after the visitors mounted a comeback, Chi were cruelly denied a victory as the Surrey side slotted home the winning points with the last kick of the match from a penalty. All was not lost for Scott Ashley’s side as the losing bonus point, combined with an additional point for scoring four tries, secured Chi’s London One South status for another season. With two matches of the season, Blues can now focus on building on their current position of ninth, with a top half finish in the 14 team division still within their grasp. Tomorrow sees Chi head to second-place Sevenoaks (2.30pm) hoping to spring a surprise while having a say in one of the tightest promotion races in recent years. Oaks are just one point behind leaders Medway and level on points with third-place Camberley so cannot afford any slip-ups. They beat Chi 28-3 at Oaklands Park in the reverse fixture just before Christmas. In Hampshire Premier, Bognor will want to end the season on a high when they head to Millbrook tomorrow (TBC). The Purple and Greens wrapped up third place in the standings with a convincing 52-7 victory over Tottonians IIs in front of a home crowd last weekend. A number of promising players made their mark in the end of season match, with Jake Aldis-Hobbs, Connor Herrington and Lewis Decarteret all crossing for scores in the convincing victory. Fellow colt Freddie Hayes continued that trend coming off the bench, stepping five men to run in a from 80 metres out for the game’s stand-out move. Paddy Burnett also scored his 26th of the season, level with Lee Balchin for the most ever for the club. He will be looking to beat the record tomorrow when Bognor play fifth-place Millbrook in what will be a competitive end to another successful season for the club’s premier side.